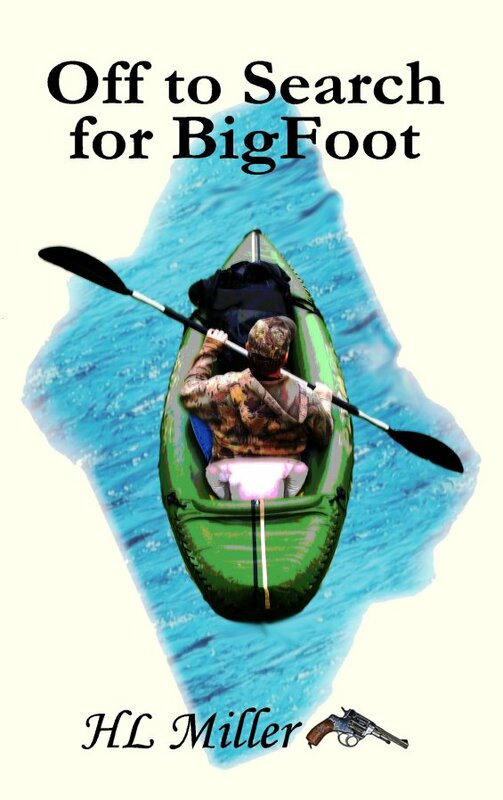 PT Thomas, self-proclaimed wilderness expert, is hired to scour a remote military reservation for Bigfoot. PT’s friend and pilot, Hugh John, decides to sneak into the reservation with PT lured by the promise of a big paycheck. Deep in the Alaskan bush, PT answers nature’s call and stumbles over the most dangerous animal he has ever encountered in the wilds, a beautiful woman. PT and Hugh field dress her injuries and backtrack to the woman’s camp. Scouting around they find an odd assortment of items: a military food box filled with test tubes and computer disks, a revolver with a silencer, giant pothole prints around the tent, and the half eaten body of the woman’s boyfriend. Hugh and PT must decide to turn themselves into the military to get help for the injured woman and lose their Bigfoot hunting paycheck, or they can try to sneak the woman and the body of her dead boyfriend off the military reservation and claim their pay. Extra Info: I cannot make a cover for this book that I’m happy with. First I had a picture of my wife duct taped up in a kayak, photoshopped to look like the character China. Then I tried one of Hugh and Dead Guy in the Kayak and then finally this one of the packs. At some point when I find the time, I will take another stab at the cover, any ideas, suggestions would be appreciated.